I get many questions about poor computer performance when using MainStage 3 for keyboard programming, so I’ve compiled a checklist of essential items to do prior to using MainStage 3 in a live performance situation. This includes Mail, Messages, Remote Desktop, and anything else that’s not absolutely essential for running MainStage 3. In addition, if there are any programs that automatically start and log you in during startup (such as Dropbox, Time Machine, etc), disable these as well. This can cause serious performance issues with your computer when running digital audio. Searching for and staying connected to networks will drain your CPU. Not having enough free space on your computer’s hard drive will surely slow down computer performance as your system needs a certain amount free in order to perform basic functions. You should make sure you have at least 15% of your hard drive free, if not more. Storing files on your computer’s desktop will create a noticeable lag in computer performance. If you really need to hold onto all the files on your desktop and aren’t sure where to put them at the moment, create a new folder on your desktop and store all of your files there. Better yet, move that new folder to your documents folder. If your MainStage 3 concert is trying to save your modified concerts regularly, this is not only a drain on your CPU, but it also will take up extra space on your hard drive. You can select when to save your concerts (hopefully it will be frequently), and when to do a “Save As”. This will prevent your computer from trying to use a video monitor with audio (or other such devices) as your audio output when you plug these in or startup MainStage. In the audio preferences, Hot-Plug Behavior is near the middle of the screen. You’re better off experimenting early to determine the correct buffer settings for your setup rather than relying on this option, which will add to the signal path and CPU usage by constantly monitoring your MainStage 3 and computer performance to determine if additional resources need to be allocated to prevent audio clicks and pops. Also in the audio preference pane of MainStage 3, you should take care to select the proper buffer size for your setup. You’ll need to balance system performance with the resulting latency. This is especially true for piano and other percussive sounds as those are the ones in which latency will be the most obvious. For programming that has many pads and lush string patches, erring on the larger buffer size will be much less noticeable. Generally, with more recent computers with sufficient RAM (16GB) and an SSD drive, you should be able to set this at 128 or 256 samples easily. Also in the audio preference pane of MainStage 3, you should take care to select the proper CPU Usage setting based on the number of processors your computer has. You may need to experiment with this setting depending upon the complexity of your programing, the number of cores your computer has, how much RAM you have, and whether you’re using any third party plugins that may or may not be able to take advantage of multi core processing. By making these adjustments, you should notice an improvement in computer performance when using MainStage for your keyboard programming. Additionally, you should find that your rig will run much more reliably. Feel free to reach out with any questions you might have and I’ll be glad to assist. I see many forum posts in which people are attempting to build MainStage rigs for musical theatre on a budget, so I thought it would be helpful to offer some suggestions for combinations of gear that would allow someone to assemble a MainStage rig for live performance that won’t break the bank. There are many fantastic options out there that don’t require taking out a second mortgage. I’ll offer some pros and cons on the various options and will offer several possibilities at the lower end of the price range that will still offer quality performance. The first piece of gear to think about is your computer. In the interest of portability, I’ll be focusing on laptop options, so I’ll be presenting some possibilities for MacBook Pro computers. 16 GB RAM: You’ll need this RAM if you’re going to load many layers or plan to use external plugins. Also, it’ll help your machine to run quicker and smoother. 256 GB solid state drive: With no moving parts, an SSD drive will be much more reliable for a portable rig and will load much quicker. I consider 256 GB a bare minimum as by the time you add the full MainStage library and save a few versions of your concert, you’ll be surprised at how quickly you’ll use up the space. 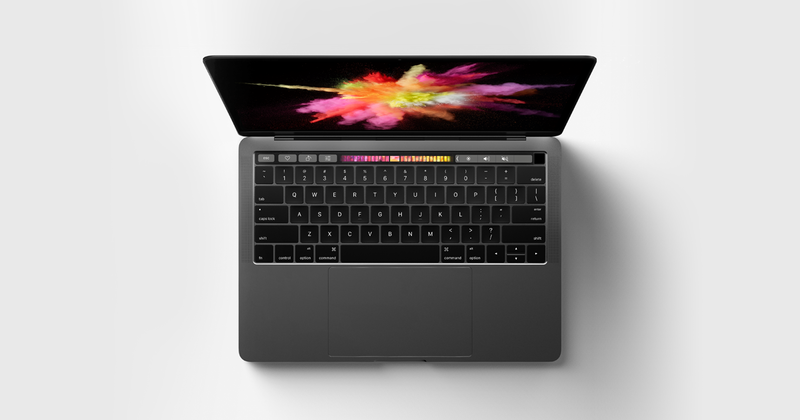 A brand new 15” MacBook Pro from Apple with 16GB RAM and a 256GB SSD will set you back $2,399.00 (not including AppleCare). But if you’re willing to order a model that’s a few years old, you can still get the same specs, albeit with a slower and older version of the Quad-Core processor in a refurbished or used model from Apple or from Mac Of All Trades for $1,699 or $1,299 respectively. I’ve purchased several refurbished computers from Apple and have been very pleased with all of them. I’ve never purchased from Mac Of All Trades, though I have sold computers to them. They’ve always been a pleasure to work with and their customer service is excellent. outputs you need, you’ll have many options here. I recommend getting an interface with at least four physical outputs so that you have the options of sending sound effects through a separate stereo pair or using the extra pair for monitoring. If you plan to run backing tracks or a click track, you’ll want to consider at least eight outputs, though you’d be better off with sixteen. There’s also the issue of connectivity. I like to opt for USB interfaces given how rapidly technology changes. This way, you’re not committed to thunderbolt (as an example) only to find that after purchasing a new computer in a few years you suddenly need to update your interface too or else be forced to use an adaptor (which I strongly advise against). I’ve been using USB connections on all of my shows and everything has been running extremely smoothly, whether it’s six channels from MainStage or sixteen channels from Ableton. At $249.99, it’s hard to not like this interface. 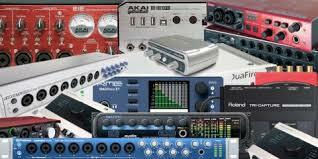 These Focusrite interfaces are known to have decent sound quality and low latency. 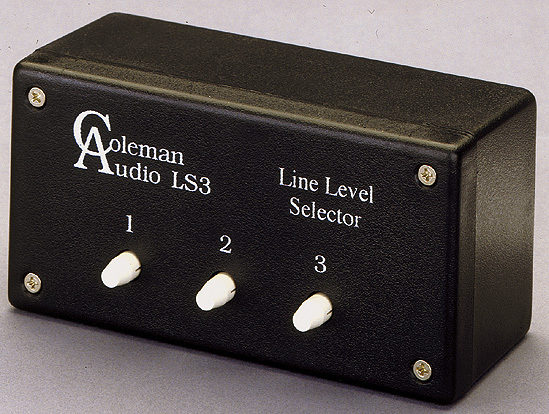 As a bonus, this model has four analog outputs, so there’s room for flexibility with your output routing. I make no secret of being a huge fan of MOTU products. In fact, I like them so much that I even became an authorized dealer. MOTU offers exceptional sound quality, low latency, rock solid MIDI performance, and excellent customer support. The UltraLite-mk4 offers eight analog outputs (ten outputs if you include the main outputs too). Even though this unit is over twice the price of the Focusrite, you’ll get an improvement in sound quality and more outputs. The advantage here is that it’ll likely be quite a bit more time before you need to update your rig if you go with the MOTU right off the bat. Just a quick warning about certain MOTU products: The AVB series of interfaces sound great and work fantastic for recording or track playback, but I’ve always found their MIDI response to be glitchy for live use with MainStage. Fortunately, MOTU has many other available products that work fantastic. There must be a MIDI output. 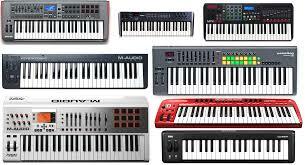 I won’t use any keyboard that doesn’t have a MIDI output. I find that it’s much more reliable in live performance, makes setting up a redundant rig much easier, and is one less item to take up the valuable USB ports on the computer. The keyboard must have pitch bend and mod wheel unless I’m working on a project that specifically doesn’t need these features. This keyboard has it all. Honestly, I’ve never been a fan of the Kurzweil action, but I’m listing this keyboard because it has all of the other features I mentioned above, and all at a very reasonable price. 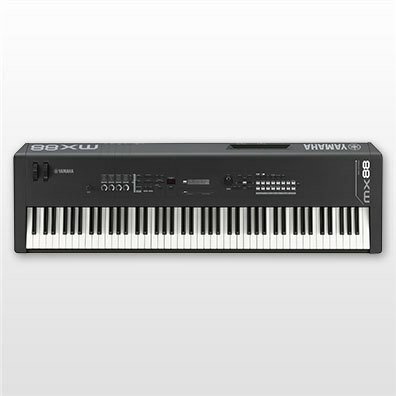 Though Yamaha offers the CP40, I’m not a fan of this unit for live use due to its plastic body, which I consider too easy to damage. This instrument is strictly a controller, but I list it as a budget priced option. M-Audio has passable action, though I wouldn’t want to play the Wicked K1 book on it every night. But for $399.00, it’s a great unit to bring to gigs that you can leave unattended in an orchestra pit during a run without having to do guided meditation every night over fear of theft or damage. As you can see, a MainStage rig for live use needn’t cost a fortune. With some creativity and flexibility, you can assemble a rig for as little as $2,000. Just add another two to three hundred dollars for pedals, cables, and a stand and you’re all set. In a future post, I’ll offer some options for creating a redundant rig on a budget. I hope you find this helpful, and do feel free to reach out if I can answer any questions. I’m often asked whether it’s absolutely necessary to use an Apple computer for music production and keyboard programming. This question is certainly understandable given how much Apple products tend to be associated with creative professions and the tendency for content creators to gravitate toward the Apple ecosystem. However, I would argue that the answer to this question is a resounding “no” – it’s not necessary at all to use an Apple computer for music production and there are many great software options that exist for Windows based systems. Why do so many music professionals use Apple computers? Originally most of the software created for music production was only available on the Apple OS, so many people simply started with Apple and never considered alternatives. Then when their friends, students, and colleagues were ready to purchase computers, they simply bought what they were familiar with. This makes perfect sense as I always advise people to use the same software and hardware as their friends and colleagues so that they have a network of peers who can help them with tech issues. A strong community built around a piece of software can be extremely beneficial to all of its members. But what if you primarily use software that’s also available on the Windows OS? Is there any reason to use Apple products? I say not necessarily. Though there tend to be subtle differences between the Apple and Windows versions of the same software, the functionality is essentially the same between the two. Therefore, there’s no reason to limit yourself to just one brand of computer. Also, Windows based computers are often much more customizable, are available with much more variety, and can often be upgraded post purchase. And if your needs are very easy on CPU, it’s easy to find many inexpensive Windows based options. 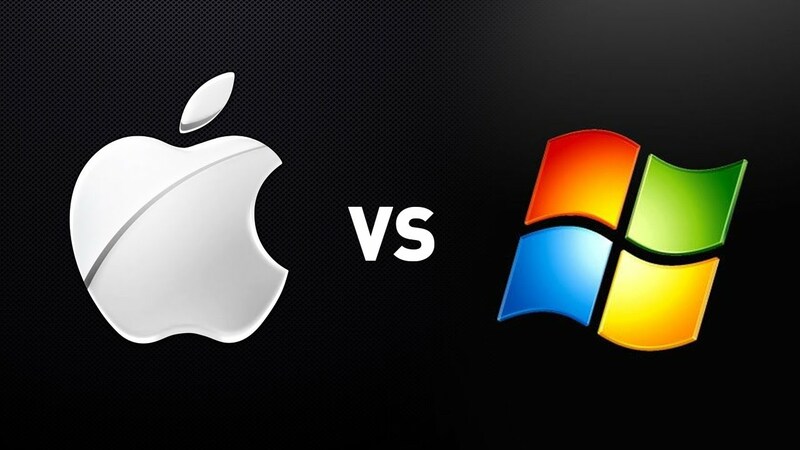 It should be mentioned that an Apple computer and a Windows computer with the exact same specifications tend to cost exactly the same amount of money, so when comparing “apples to apples”, there’s no savings in purchasing a fully spec’ed Windows machine, so cost is only a factor if you don’t need an extremely powerful machine. Several advantages to purchasing a budget Windows computer for music would be if you need something for music notation. Unless you’re using large sound libraries for playback, software such as Finale and Sibelius don’t require much processing power, so for this purpose a Windows machine is perfectly suitable. A budget Windows machine can also be excellent for travel so that you don’t need to be too concerned about loss, theft, or damage to your brand new top of the line MacBook Pro. There are also many excellent digital audio recording software options available for Windows, such as Pro Tools, Cubase, Nuendo, Ableton, and much more. And for live performance, a fantastic alternative to Apple’s MainStage software is Brainspawn’s Forte. In fact, for someone with very basic audio production or editing needs, a Windows computer can be a great money saving option. 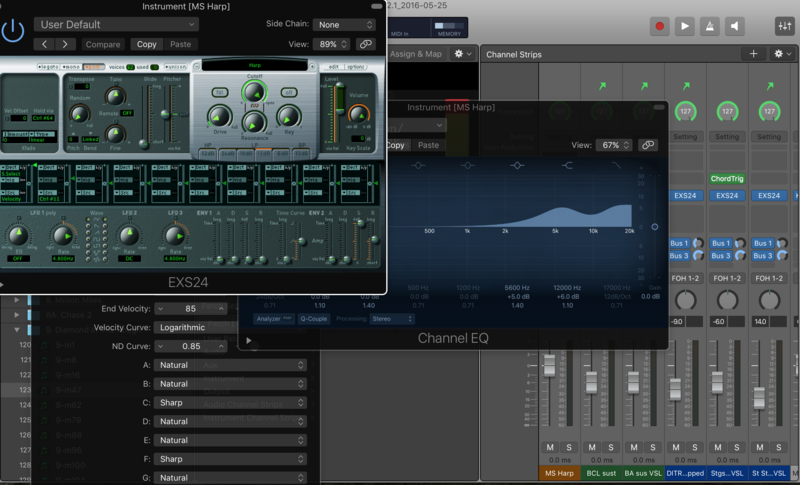 Many musicians don’t necessarily need a DAW for producing albums, but rather just to make occassional edits to audio they’ll be using in other situations. I would argue that for these types of users, there’s absolutely no reason to spend a lot of money on a top of the line Apple computer when a perfectly suitable Windows computer can be purchased for a fraction of the price. That said, should the user’s needs become more complex, the cost benefits become less apparent. So it’s not quite so clear cut. That said, I would still argue that for the right user with a certain set of needs, a budget Windows computer can be an excellent option for music production. As a synthesizer programmer for Broadway productions, I’ve been a longtime user of MOTU audio and MIDI interfaces. At times, I’ve tried other products, but have always been disappointed in one way or another, and whenever I’ve returned to using MOTU I’ve been fully satisfied with the quality of the products, reliability, and the excellent customer service I receive from the company. My first exposure to using MOTU products on Broadway was while working as the Associate Conductor and synthesizer programmer for Priscilla Queen of the Desert. For the synth rigs everything was hardware based, though we also ran backing tracks through MOTU’s Digital Performer. Digital Performer worked absolutely flawlessly for us. We recorded sweetener tracks of double-tracked strings and horns directly into Digital Performer and ran it in “chunks” mode to trigger sequences during the show. In 18 months on Broadway and a year on tour, the combination of Digital Performer and the 896 sounded fantastic and never once did we have any malfunctions or crashes. The system was completely rock solid. It’s no wonder that Digital Performer is the go-to sequencer of choice for so many folks who run backing tracks in live performance. 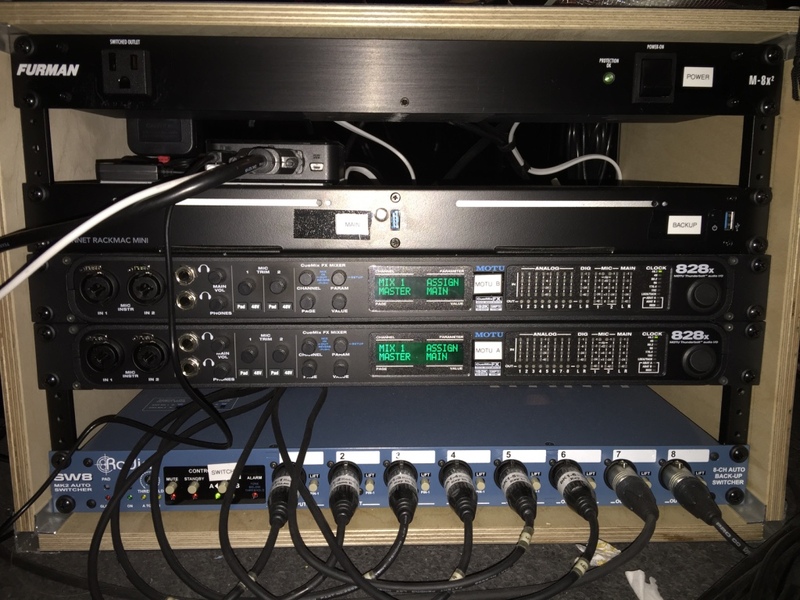 In my rental rigs and my own personal rigs, I always use MOTU interfaces for several reasons. First, MOTU offers the largest variety of products of any company in the industry and offers an audio or MIDI interface for any need. Second, they sound fantastic, and at a very reasonable price. Third, MOTU products are rock solid. While some other competing interfaces have known issues when interacting with various USB connections, the MOTU products never produce any issues. I know that when I’m working on a project, their products will work totally reliably without any problems. With 8 outputs, this provides more than enough for live performance. If I need more outputs for running backing tracks, it’s an easy matter to create an aggregate audio device to combine the two interfaces to send 16 outputs. I’m now using the MOTU 828mk3 Hybrid on nearly every production of Disney’s Aladdin worldwide, my personal rig, and my rental rigs. It’s also been used on 4 Broadway cast recordings, several Off-Broadway productions, the Tony Awards, various regional productions, and has even been shipping back and forth from New York City to Tokyo for recording the cast album for the Tokyo production of Aladdin. Always rock solid, always great sound, and a fantastic value. With 16 TRS analog outputs, it’s ideal for running backing tracks. Like all of the other MOTU products, it sounds fantastic and is 100% reliable. However, the audio matrix feature is absolutely indispensable. I can create customized routing for different situations. For example, I can route audio from Ableton to send to a general stereo mix for rehearsals while continuing to send click to its own channel, but can load a separate mix for show situations that utilizes all 16 outputs to send a complete mix to front of house. This avoids having to create multiple versions of the audio routing in Ableton, so it’s much safer not having to have multiple versions of the Ableton session floating around. At the moment, I’m using the MOTU 16A on the national tour of Finding Neverland. It’s worked brilliantly for us providing fantastic audio quality, flexible audio routing, and rock solid reliability. MOTU also provides some of the best customer support in the industry, which is absolutely essential when working under the tight deadlines of mounting a live theatrical production. The MOTU tech support team has always been there for me, even when traveling overseas. I’ve received quick responses to my queries even when dealing with multiple time zones and emailing back and forth from onsite in Germany, Australia, and Japan. With a product to suit every possible need and budget, competitive pricing, top notch sound quality, rock solid reliability, and the industry’s best customer support, I see no reason to consider any MIDI or audio interfaces other than those offered by MOTU.